Yesterday was my faux book birthday–the date that my book was originally, tentatively, going to be released. Oh, thank my lucky stars that they changed it. A book launch with three kids, the day before the first day of school, would have been less than ideal. LOL! But–yesterday was the REAL book birthday of my Wolf Pack sistah Linda Grimes. Her debut novel, IN A FIX hit the shelves and I just happened to be in the bookstore and couldn’t help but take that baby home with me. 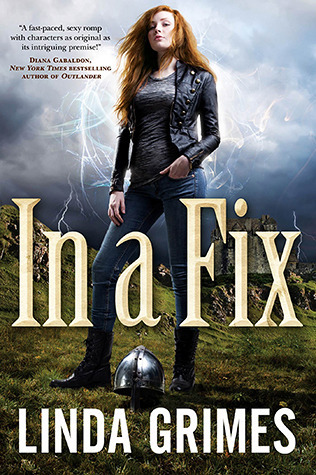 Of course I also have my pre-ordered copy in transit, so to celebrate my Faux Book Birthday and Linda’s Real Book Birthday, I’m giving away one of my copies of IN A FIX!!!! The Random Acts of Publicity 2012 will focus this year on Conversations about Books. The basic idea of the Random Acts of Publicity is to take the focus off you and your books for a week and instead focus on a friend’s book or a favorite book. How can you help that book’s sales? We know that the basic things you can do is to Blog, link, Like, review, or talk about the book . This year, we want to focus on Conversations about Books. What are the talking points of the book you want to feature? How can you start a conversation? Are there behind the scenes stories that make the book sound more interesting? Do different audiences require different talking points and different conversations? How do you create online conversations? How often do you start in-person conversations about a book? Let’s TALK about Talking about Books this week. If you go to this link, you can also participate to win a really cool prize!!!! But back to this blog post. In order to win my copy of IN A FIX, you need to leave a little random act of publicity in the comments. Tell me about a book that you think should be getting a little more attention and be sure to tell me why. Start a conversation that the rest of us want to finish. I’m going to slip some of my own favorites in the comments too. Share the love! 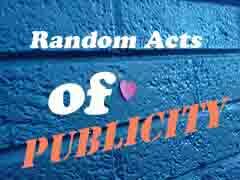 It’s not mandatory, but it would be really nice if you could tweet or share this post so that more people get to read about all of our random acts of publicity.